In an emotional speech, Olympic skier Gus Kenworthy talked about coming out. The 27-year-old freestyle skier came out on the cover of ESPN Magazine following his silver medal win at the 2014 Winter Olympics in Sochi, Russia. 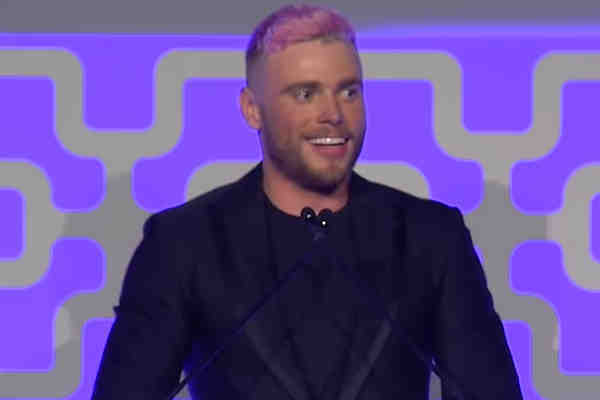 Kenworthy was introduced by Queer Eye's Jonathan Van Ness as he accepted this year's The Point Foundation Point Leadership Award. The Point Foundation is the nation's largest scholarship-granting organization for LGBT students of merit. “We often face ridicule and we fear torment. My time in the closet is a blur of depression and anxiety,” he said. Kenworthy also criticized the Trump administration's policies against the LGBT community. “We have a president who has made repeated attacks on our community, on our trans brothers, sisters, and gender non-binary siblings,” he said, referring to the administration's decision to prohibit transgender individuals from serving in the military. “We have a vice president who still believes in conversion therapy, for fucks sake,” he added.